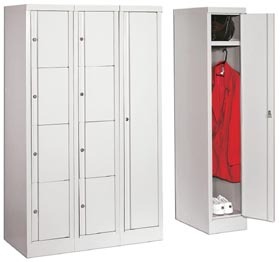 Coin operated lockers are very popular at A Plus Warehouse. Learn about coin operated box locker and other coin operated lockers today. For readers that are unaware, A Plus Warehouse has the product of the day campaign started last week by marketing assistant Carrie Stairman. It is nice to showcase a range of products offered at A Plus Warehouse. Having a product of the day gives customers a little taste of everything. Today’s product of the day is a Coin Operated Box Locker. According to Ed Stairman, president of A Plus Warehouse," Coin Operated Box Locker is a great product that is enjoyed by many customers." Coin operated lockers are one of the many lines in the A Plus Warehouse locker section. Lockers are extremely popular items. Almost every company needs a locker. Because lockers are so popular, A Plus Warehouse offers hundreds of lockers from several different lines. Some of these lines include but are not limited to inexpensive lockers, lockmaster lockers, wood lockers, army lockers, and metal lockers. As mentioned earlier, the product of the day is in the coin operated locker line. Many universities, schools, and amusement parks use coin lockers. When it comes to coin operated lockers, also know as coin lockers, A Plus Warehouse offers a wide array of options. First of all, a customer needs to decide how much money will be charged to the user of the product. Also customers decide whether or not the money will be returned to the user. 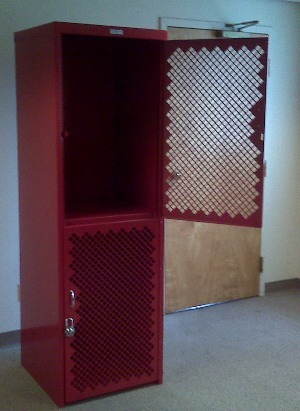 Customers also put fashion sense into these lockers. They come in a wide range of colors including dutch blue, aqua, electric blue, steel, ivory, chocolate, charcoal, and black. Customers also choose the arrangement of the coins. A Plus Warehouse normally suggests 2-4 quarter operation but in the end it is up to the customer. Tokens are also available. Customers just need to tell the company what they want for coin arrangement and it is very likely offered. A Plus Warehouse also can have coin lockers accept Euros, Pesos, and other foreign currency. Coin Operated Box Locker is the product of the day. This item happens to have the quickest shipping times. A Plus Warehouse understands customers want products as soon as possible. This product is available 4 , 5, and 6 boxes high. Many customers also order a 4 inch base with this product. This feature is completely optional though. Each locker is a single column as well with a zinc-coated finish. It is a very attractive locker. Customers are sure to enjoy this new product.